Chewy, buttery, and full of cinnamon this soft snickerdoodle recipe is a family favorite. These cookies are fluffy, soft in the middle and just a little chewy on the edges. Seriously the BEST snickerdoodle recipe out there. Snickerdoodles are weird. No one really knows where they came from and depending on who you talk to the name is from the Dutch or German word for snail or from some crazy New Englander in the 19th century. I am not even going to try to figure it out but snickerdoodles don’t look like snails and I’ve known a few crazy New Englanders so I’m going with that. These were not a cookie that was in my house growing up. In fact, I had never even eat ONE of them… had never even HEARD of them… until I spent the night with a friend in the 8th grade and she and I made cookies. Snickerdoodles. Dang. Chewy, soft, just a tiny bit crisp on the edges? I’m pretty sure we finished them off. ALL of them. I moved not long after that and lost track of her but the snickerdoodles remained a flavor that I wanted more of. 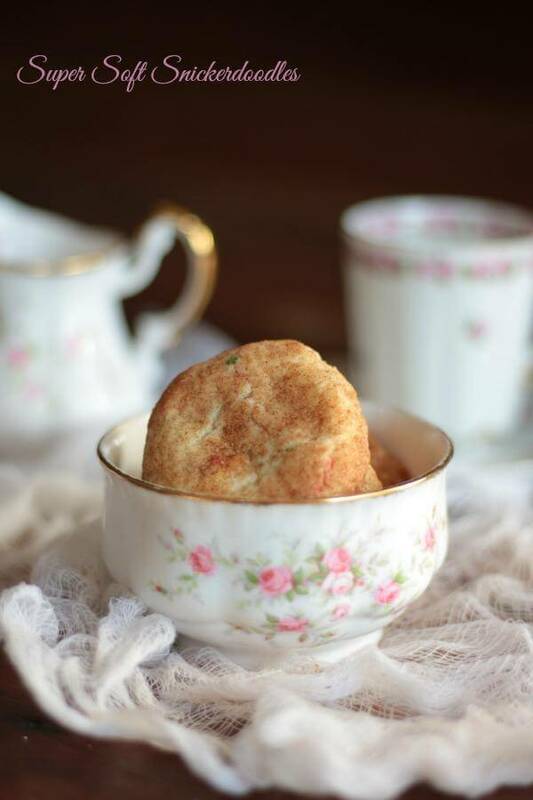 The first several years of my adult life were full of snickerdoodle experiments until, in an old Southern cookbook I found what would be the foundation for this soft snickerdoodle recipe and every other snickerdoodle I’ve made since. Let’s talk cinnamon, shall we? Cinnamon comes in more than one type. I know, it’s a mind blower but it’s true. What’s even more amazing is that each type of cinnamon has a slightly different flavor and level of spiciness! Totally crazy. So, if you feel like you aren’t getting the flavor you want try a different type of cinnamon and see what that does. I’ve got them listed below in the affiliate links section. So, you can make these plain or you can add sprinkles to make them festive. I suggest festive because, hey, the world needs more sprinkles. Plus you can choose sprinkles to coordinate with your party decor or the holiday! Red, white, and blue for the fourth of July, red and green for Christmas… whatever. Use your imagination. These freeze very well baked but what I like to do is make the dough, shape the balls, and then flash freeze them on a cookie sheet. Once frozen I put them in a freezer container. Anytime I want cookies I just take the dough balls from the freezer, roll in cinnamon and sugar, and bake them according to the original directions. Super easy! China Cinnamon – extra strong and spicy. Vietnamese Cinnamon – Extra flavorful. If you use this you can actually cut back the cinnamon called for in the recipe. Korintje Cinnamon – This is what your mom probably used. Sweet and mild. Ceylon Cinnamon – Extra mild with a slight citrus flavor. My favorite is the Vietnamese cinnamon because it is intense and flavorful. If there’s any way you can try all of them to see what you like best you should do so! Here’s your new favorite cookie, yep – this soft snickerdoodle recipe! Yum! I haven’t tried making soft snickerdoodle, but this looks like fun. You should try! They are SO good. I love Snickerdoodles. They have been a favorite during my pregnancy and these look so good! Thankyou! They are some of my favorite! Snickerdoodles are my favorite cookie but never make them because they don’t turn out well. I’ll have to try this. Thanks! This is definitely my favorite recipe! 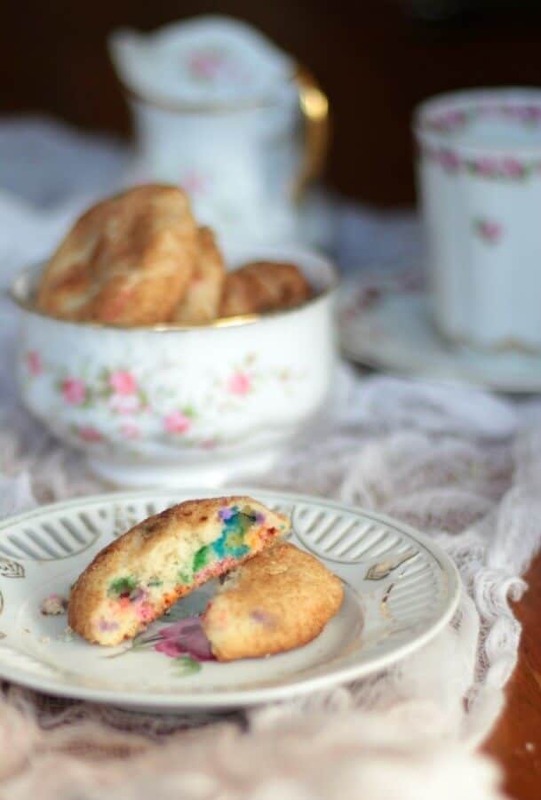 This sounds like a great way to do snickerdoodles! I’ll have to give it a try. Mmmm I love snickerdoodles! Can’t wait to try this recipe out! I never realized there were so many types of cinnamon! I’m with you, sprinkles are always a good idea!!!! I love that these are soft. I’m not a fan of cookie w/ a crunch, the softer the betterfor me! I had no idea cinnamon came in so many varieties! So funny because some friends & I had a discussion last night about cinnamon – a visiting friend from Africa thinks Americans use it in everything! Snickerdoodles are my husband’s favorite cookie. He’s picky about them, and your description of these is right up his alley! Let me know how he likes them! I guess we kind of do put it in ALMOST everything! Love snickerdoodles! These look fabulous! Your grandmother and I would definitely get along! Snickerdoodles are cookies that my whole family loves! How fun to put sprinkles in them, too! Who doesn’t love a good snickerdoodle? 🙂 Let me know if they like them as much as we do. I get that, Laura! I don’t need them available… but I WANT them available.